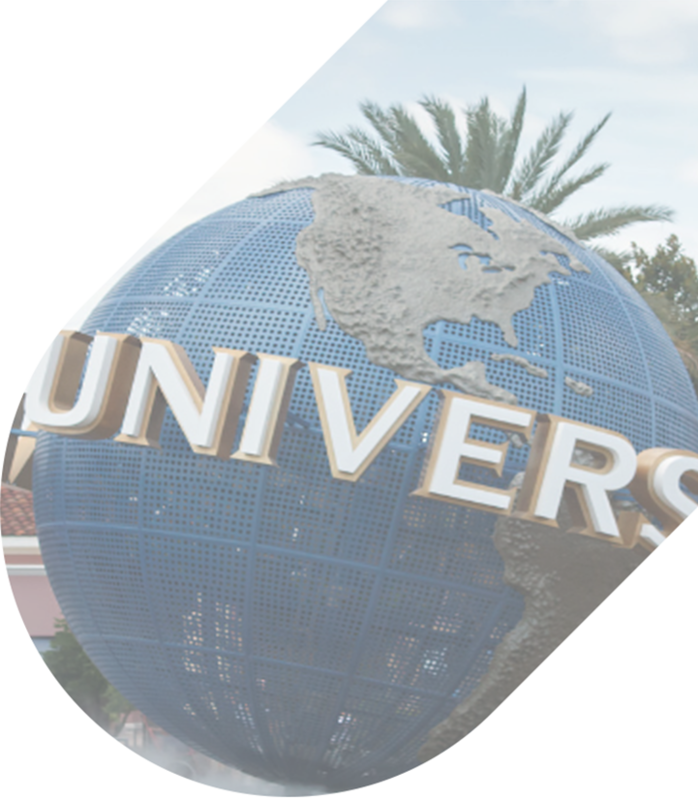 Universal Orlando is Florida’s ultimate destination for group travel. The Universal Orlando Resort is now separated into three different parks for visitors to enjoy: Universal Islands of Adventure, Volcano Bay, and Universal Studios Florida. 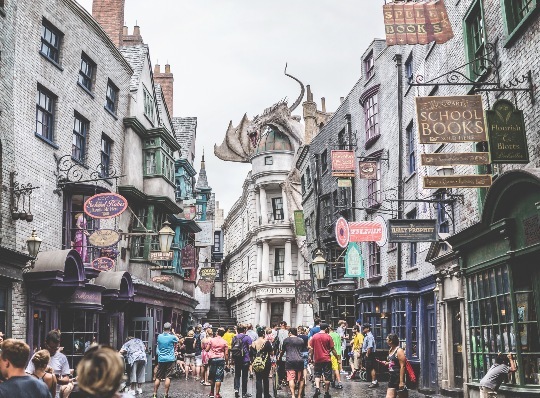 Within the Universal parks, you can visit tourists’ favorite rides such as Harry Potter and the Escape from Gringotts, Hollywood Rip Ride Rockit, Men in Black Alien Attack, Revenge of the Mummy, and Transformers: The Ride 3D. We’ll make sure the journey there is half the fun! We charter buses of a variety of sizes, with full-sized motorcoaches available for large school groups and compact minibuses available for smaller family gatherings. Need multiple vehicles to accommodate your group? We’ll put together a fleet just for you, ensuring that all students, faculty, and chaperones travel comfortably to the next theme park or team-bonding activity. 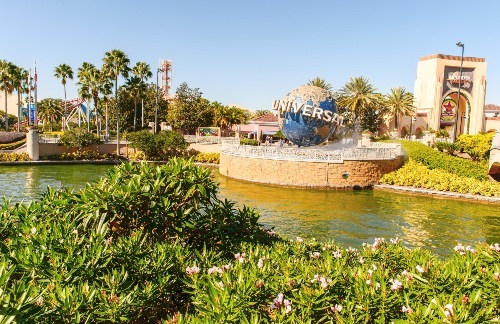 College students and tour groups can enjoy exploring Universal without the stress of hauling family travel bags or equipment by safely stowing away their personal belongings in the spacious storage racks below the bus or above their seats. No matter your needs, we’ll make arrangements to accommodate everyone in your travel group during your entire journey! If you want to explore Universal Studios by bus, your driver will be waiting for you at the designated pickup and dropoff areas at each park, so you can enjoy a magical journey through town. In the meantime, your group can be picked up from the airport, so they can avoid the hassle of taking rideshare services or public transportation. No matter the distance to each destination, we’ll ensure all passengers are relaxed and having fun in climate-controlled interiors with TVs and WiFi for group entertainment on the go. We’ll find a model with plenty of legroom so that passengers can stretch out and enjoy the ride through Universal Studios. Whether you’re planning a school field trip, hosting an employee outing, or planning a private wedding for the weekend, renting a charter bus is the safest, most comfortable option for the entire group. Book with us to take the stress out of group transportation-- we’ll find a professional driver and a comfortable bus hand-picked just for your group. You’ll enjoy personalized transportation that caters to your preferred schedule, not someone else’s. With us, you’ll always travel efficiently in comfort and safety. There are only two parking garages here, so it’s hard to find parking when traveling in separate caravans. In addition, people often forget where they parked by the time they return. With a private driver, you won’t have to pay close attention to where your driver parks. All you have to do is let them know when and where to pick you up and they’ll come to you! Save time and order online so you can bypass long lines at guest services and call kiosks. Don’t waste any more of your precious vacation time at administration venues and ticket areas. If you buy your tickets online, all you’ll have to do is scan your printed ticket at the turnstiles, and you’re in the park. Get there early to avoid mid-day crowds and rush hour at popular vendors. In a private bus, you won’t have to worry about not arriving at the park on-time or getting lost along the way. Once you arrive, however, you’ll have to navigate the park on your own. Prep with a park map in hand and follow along with the signs located in front of each park so you can stay on schedule. Each attraction will have its own set of signs to lead you to the next stop. Similar to the Disney Fastpass, Universal Studios offers a daily Express Pass to help visitors bypass long theme park lines. It’s worth it to pay a little extra for the Unlimited Pass to experience unlimited admission to all the parks and rides. You can use it an unlimited amount of times all day, while your driver waits to pick you up around your schedule and convenience! Staying in a Universal Resort on-park property is expensive. Luckily, there’s a better, more affordable alternative as Orlando provides a wide array of cheaper lodging options for travelers looking to stay outside of the resort. Additionally, a private bus can swiftly transport you and your group to and from the parks, whether you need a quick pick-up from your hotel or park drop-off. Ready to plan your travel to one of the most popular theme parks in the world? But worried about the cost? Your exact cost is dependent on several key factors, such as the time of year, how far you’re traveling, the number of passengers, the type of bus you’re renting, and more. If your group requires any additional amenities for your trip, one of our reservation specialists will work to find a bus that perfectly suits your requests at 407-274-9782. Confirm your travel details and receive your charter bus quote from an expert before setting off on your journey!